In May I started a patio and natural stone fire pit project as all you regulars around here know. The project spanned across the whole summer and I left off on sharing the process with how to install a pea stone patio. 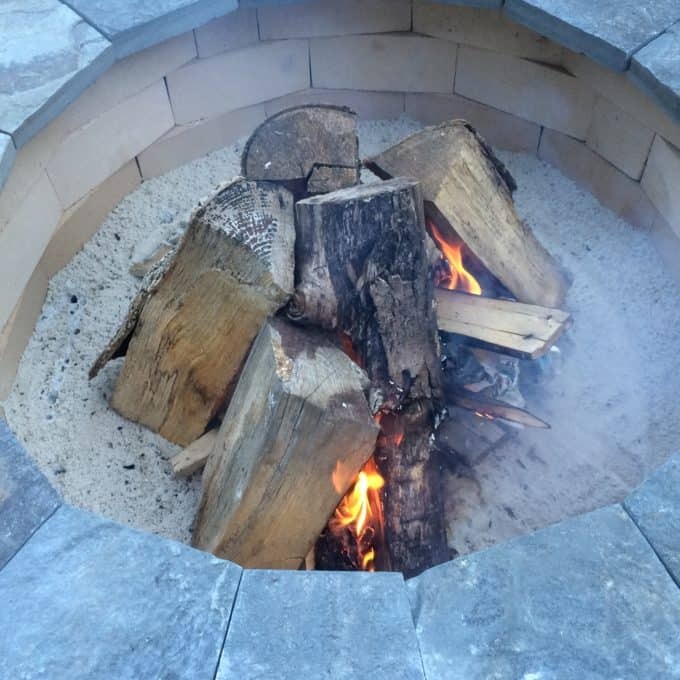 I know only about 1% of my readers care to know every last detail of how to build a fire pit with a kit, but I learned so much that I figure it has to be useful to someone, somewhere!! We are enjoying our new outdoor space so much and it’s definitely a project that a handy DIYer could throw down! I included a supply list at the end of the post, including some affiliate links. You can read more about affiliate links here. LINE THE BASE. 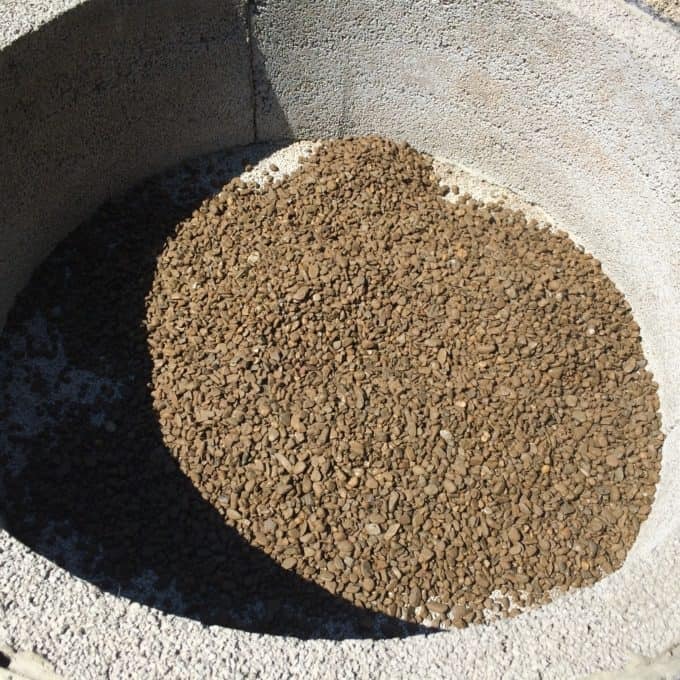 For the base of the fire pit you can either install fire brick or sand. We opted for sand because the installation is SO much easier, it’s much less expensive, and it’s a piece of cake to clean up. We layered 2 bags of play sand over 2 bags of all-purpose gravel from our local hardware store. Just tear open the bags, pour in, bam, done. Easiest part of this whole project!!! 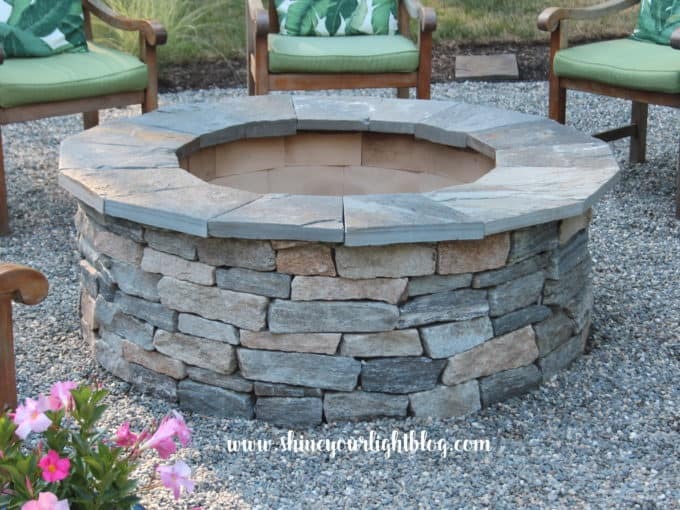 LINE THE FIRE PIT WITH FIRE BRICK. Stone or regular brick can crack under high heat. 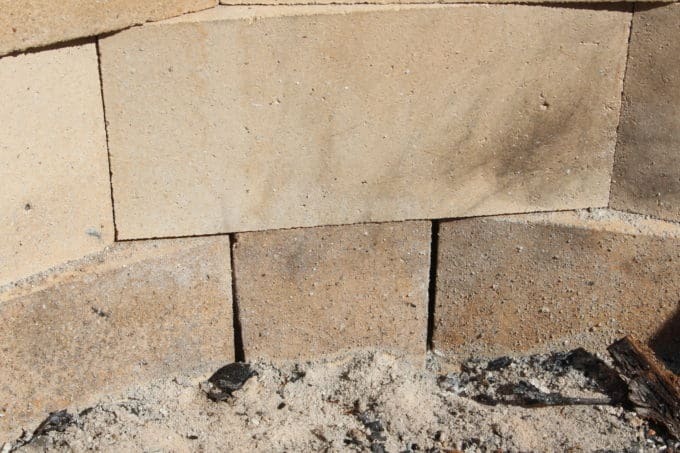 Lining a fire pit with fire brick, also known as refractory brick, will create a solid, well built pit that will stand up to blazing fires for many years. Forgive me for not sharing more pictures of the installation of the brick…..they somehow went missing! 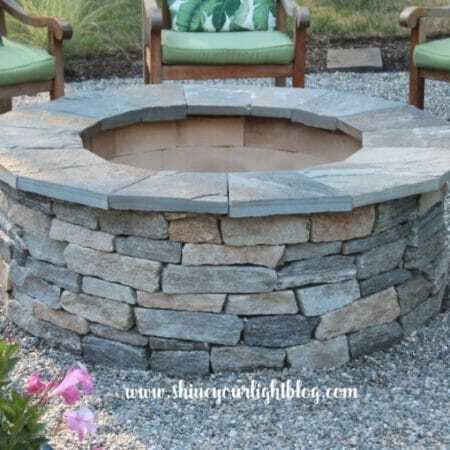 Fire brick can be purchased at stone yards. My local big box stores carried them in some locations but not all, so a stone yard is probably your best bet. 4 | Cut bricks to fit. If you end up with a small gap at the end of a row, you will have to cut a brick to size. To cut the brick, you’ll need a brick set, a chisel and a hammer. Measure the gap and mark the brick. Use the chisel and hammer to score the brick (I found it helpful to score it on all 4 sides to get a nice clean break.) Then, hold the brick set on top of the score mark and hit with the hammer. They don’t have to be perfect – once you get that pit fired up no one is ever going to notice if it’s not! 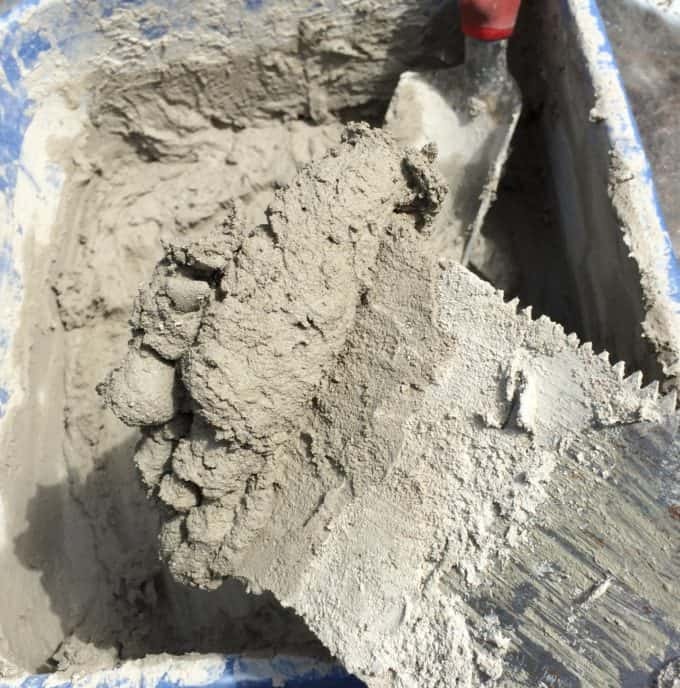 5 | Allow the cement to cure thoroughly. 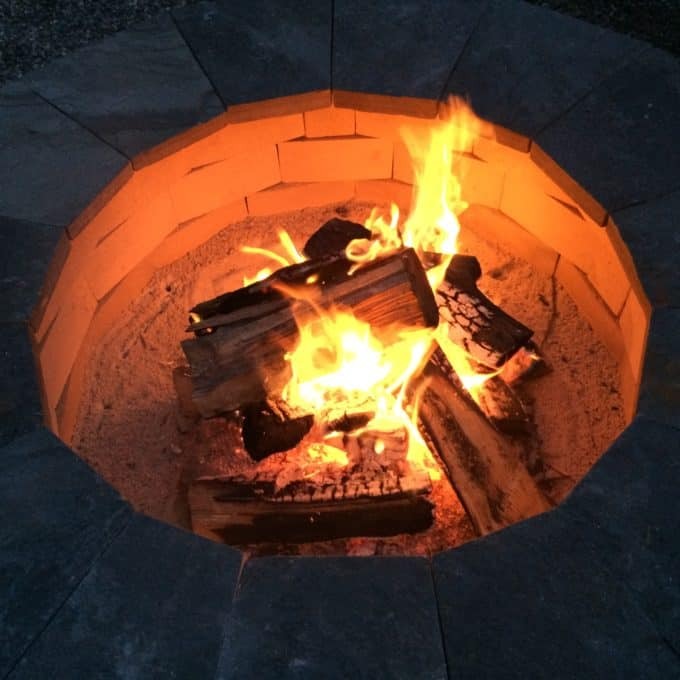 I read online that a fireplace or fire pit built with refractory cement and bricks can be used within 24 hours but my stone mason guru recommended 3-4 days minimum to allow the cement to really set. 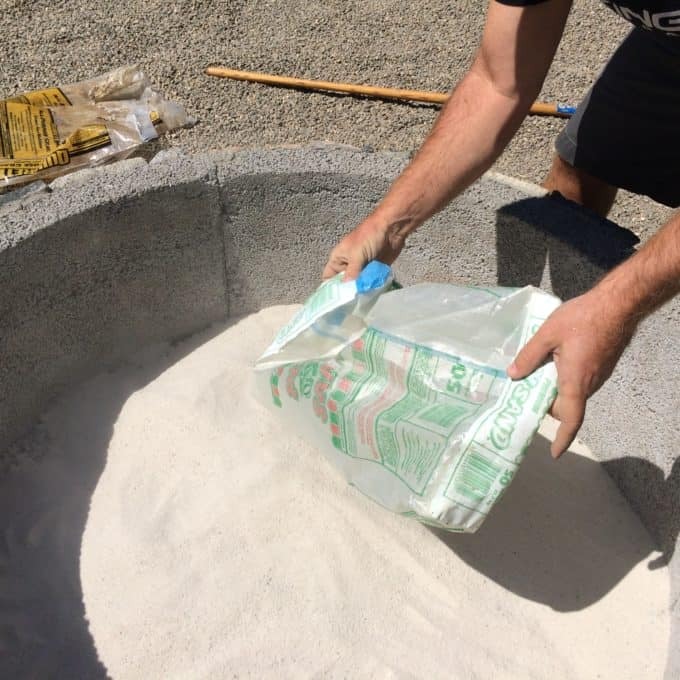 The last piece of the fire pit build using a cast cement kit from Stone Farm is my favorite part – the capstone! I’ll share with you how I managed to save $$$$$$$$$$$$ on that and install it myself in the final tutorial, coming up Thursday. And then you’re all invited over for s’mores and wine and music and snuggling under cute plaid blankets by the fire! 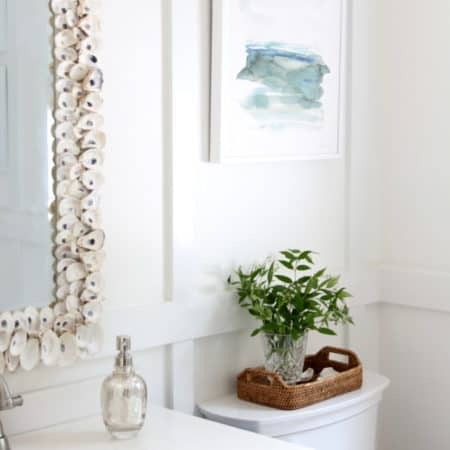 I always enjoy how you make your difficult DIYs seem so easy with your steps Lisa!!!!! Yes, I am enjoying all the Fall home tours right now, have a great weekend! I can’t wait to see your tour Vel! Your seasonal decorating is always so inspiring!! WOW your firepit is awesome, so much hard work but you make it look so easy 🙂 I adore the pea gravel. Have a great week!